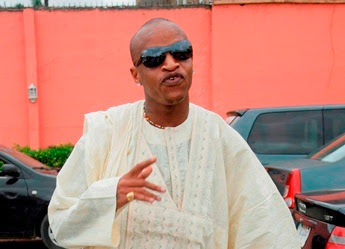 Yesterday night, the Self acclaimed president of the just concluded Big Brother Africa, Prezzo of Kenya landed Nigeria. I had a chat with him this afternoon and he made his intentions clear. I had thought that he was trying to ride on the publicity he had gained from Nigerians to promote his music in the country. Prezzo says that is not the case. He disclosed that he is in Nigeria solely to beg Goldie. “I have tried reaching her on phone but I am not getting through. I want to be back with her, please tell her through you medium that I want her back,” he said. At this moment, Denrele who had been chaperoning him around whisked him off. I am still suspicious of the guy. He is cool though. Lwkmd! Somebody should stone d guy abeg.